It’s a tough time for heritage. In December 2016 ISIL recaptured the ancient city of Palmyra, taking advantage of Syrian and Russian concentration on Aleppo, another ancient and now ruined city. Eighteen months ago, a plume of smoke rising above the Temple of Bel in Palmyra marked the destruction of 2,000 years of history and was a reminder of the senseless intolerance of some religious fanaticism. But, search harder and there are positive, uplifting stories, some born from the darkest of histories. Christ Church Cathedral in Zanzibar is a special place. Not only is it an extraordinary architectural melange of European gothic, Arabic and Swahili styles, but it also marks the site of the last and biggest permanent slave market in East Africa. 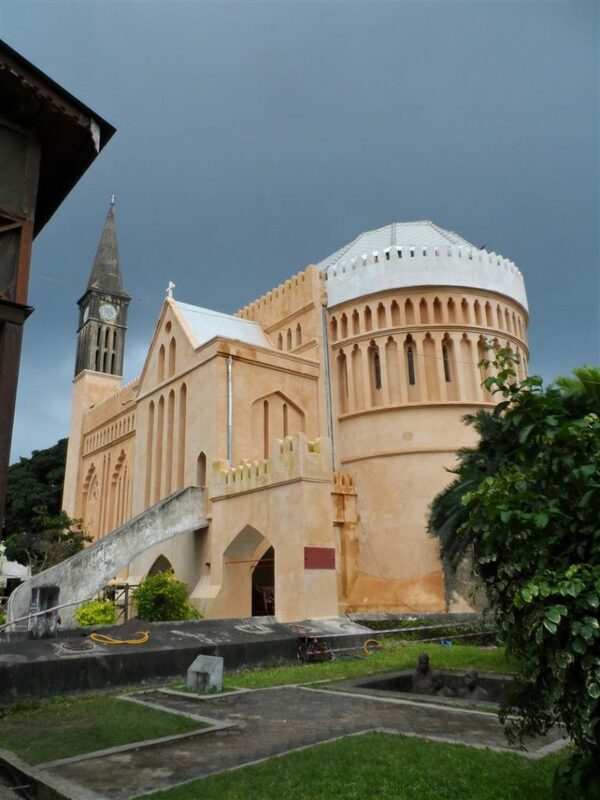 When the market was closed by the ruler of Zanzibar, Sultan Barghash, in 1873 the cathedral was constructed as a triumph of hope over human suffering, the alter deliberately placed over the site of the former whipping post. 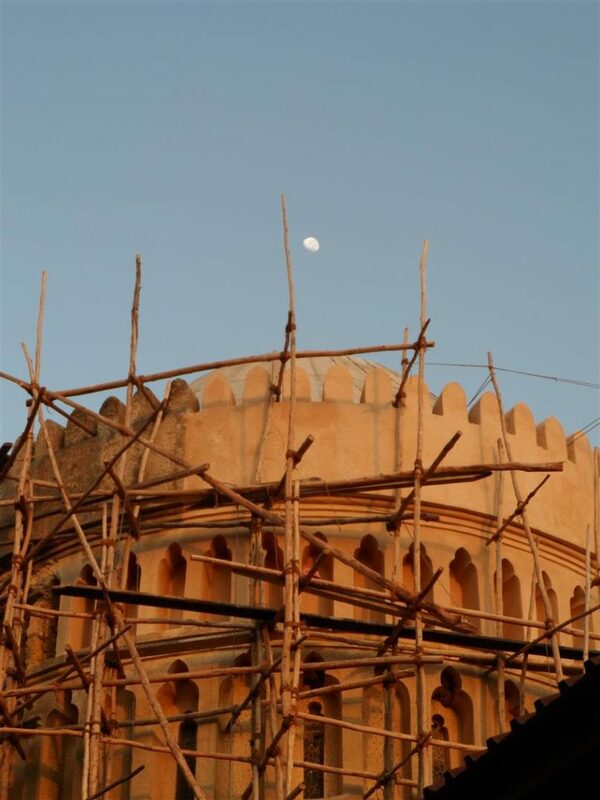 In a predominantly Muslim country, the architects took great care to follow local traditions and to ensure that the clock tower was lower than the top of the sultan’s palace. The very first service in the cathedral was held almost 140 years ago on Christmas Day 1877. Four years ago the cathedral was in a parlous state, despite its importance and its place at the heart of the original trading settlement of Stone Town, a UNESCO World Heritage Site. The exterior was worn, grey and crumbling, the roof and windows failing and the towering walls of the nave in danger of pulling themselves apart. The local Anglican diocese highlighted the issue in 2012 and the Cathedral was placed on the World Monuments Watch in 2014. Working with partners and supported both locally and by the European Union, the US Embassy in Dar es Salaam and the Ambassadors Fund for Cultural Protection, a restoration plan was hatched. Over the last two years an extensive scheme has been underway: the nave has been pinned together by 20 stainless steel ties, the roof completely replaced and the great rose window, the earliest in Sub-Saharan Africa, brought back to life. An unexpected discovery during conservation was that the Arabic crenellations on the top of the apse were originally made from a bright, white “neeru” plaster. This technique, uses a mixture of crushed marble dust that is thinly applied and then highly polished using metal trowels. The result is a shining halo affect, one that is both deliberate and appropriate. If this story ended there it would be interesting – but two things elevate it above a fascinating conservation initiative. Whilst the restoration of historic fabric was an important part of the work, it went hand in hand with an intensive programme of skills development. 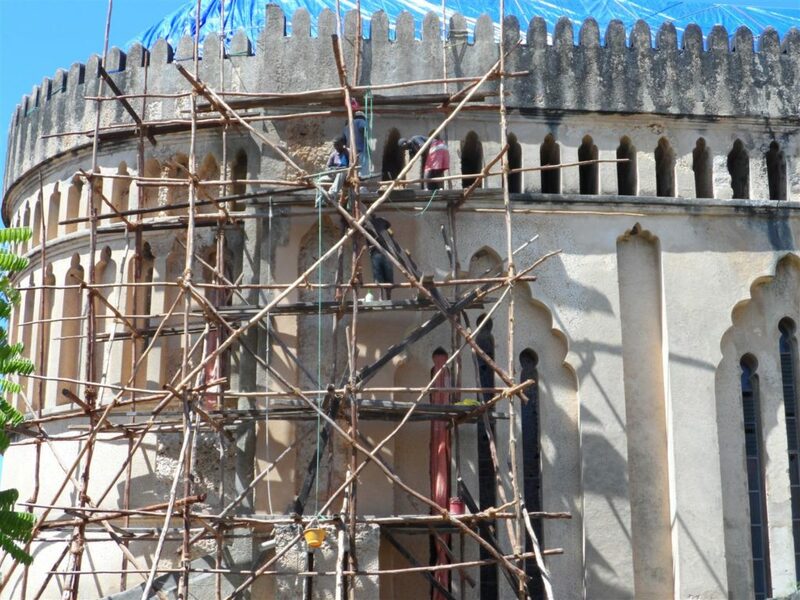 Consequently, there is now a pool of local trained stonemasons who will be available to help with future repairs on the cathedral, and also have the specialist knowledge to restore the unique architectural heritage of the Stone Town, the old part of the city whose buildings reflect the diverse influences which have shaped the island and further afield. In addition, the Cathedral was built, in part, as a marker so that slavery’s dark past would not be forgotten. Here, the trade in human lives transcended sectarian divides and affected everyone, and yet it is not a tale that is easily told. So, hand in hand with the restoration of the church, the project also led to the creation of a new education venue, dedicated to presenting the story of slavery to a wider local and visiting audience. 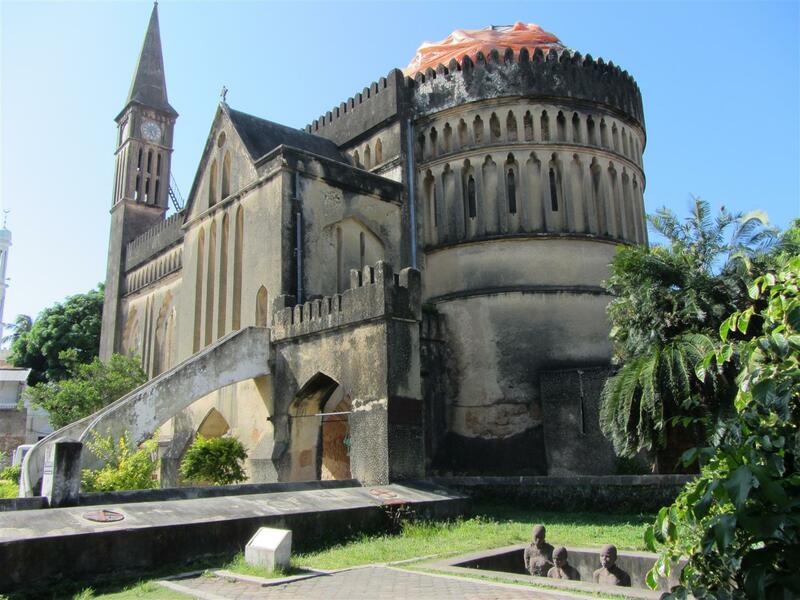 Yes, this is a conservation story but it is also about helping to maintain something that sits at the heart of the local economy—tourism is a critical industry in Zanzibar, and the cathedral is one of the most visited of the town’s attractions. Hearteningly, it is also about tolerance and cooperation. The vast majority of those who worked on the project were Muslim, from the trainee masons to the tour-guides, from the local government officials to the curators of the new exhibition centre. At a time when heritage has been in the news for all the wrong reasons, it is good to point to a care for the past that unites, rather than divides us. A version of this article was published in The Art Newspaper on 5th January 2017.